The Packhorse is a pub in the village of South Stoke, in the west of England. Villagers came together to buy back the pub after it had been sold for development into residential and office space. The Packhorse pub sits in the tiny village of South Stoke in the west of England amid rolling hills dotted with sheep. For more than a century and a half, it played a crucial role in the village and marked milestones in the lives of local families. 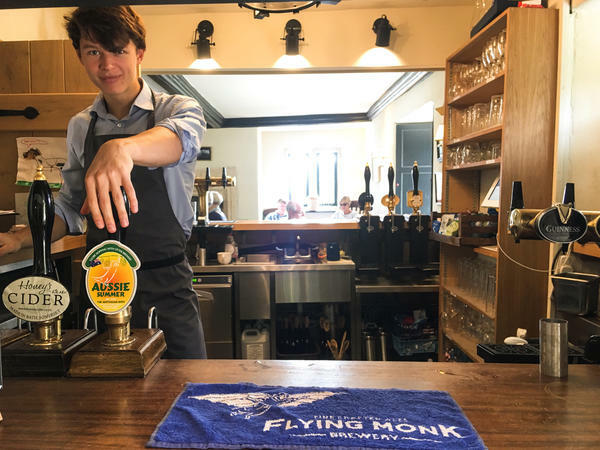 Gerard Coles, who was born half a mile from the pub and now brews cider nearby, started coming to the Packhorse when he was 15 and underage, sometimes with his school teacher for lunch. "The chap who came to put in our new gas main said he was conceived in the back garden," recalled Trevor John, a retired accountant, who has lived here for almost 30 years. But in 2012, Punch Taverns, a corporation that owns about 1,300 pubs across the United Kingdom, sold the Packhorse so it could be converted to housing and office space. It's a familiar story. Pubs close all the time in the United Kingdom, victims of changing lifestyles and the rising value of real estate. In fact, locals say the Packhorse would be worth twice as much as housing and office space as it was operating as a pub. 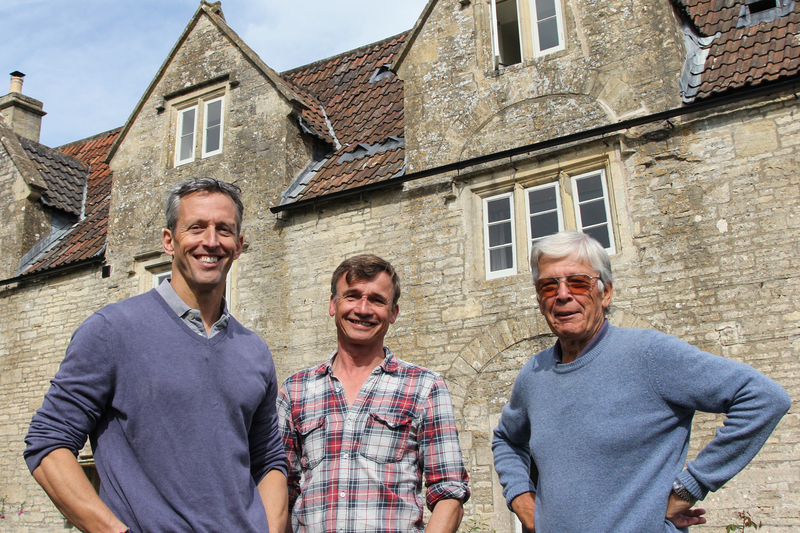 (Left to right) Dom Moorhouse, an entrepreneur, Gerard Coles, who makes cider, and Trevor John, a retired accountant, are part of "Save the Packhorse," a team of villagers who raised more $1.3 million to buy and overhaul their local pub, after it was set to be converted into residential and office space. But villagers feared without the Packhorse, there would be no place in town for people to gather. So in 2012, John, Coles and others in the village created a grass-roots campaign called "Save the Packhorse." They set out to preserve the pub and eventually raised funds to buy it. "You deplete a small community of a place like this, which is the only communal hub, and you just take its heart away," said Dom Moorhouse, an entrepreneur who helped lead the effort. 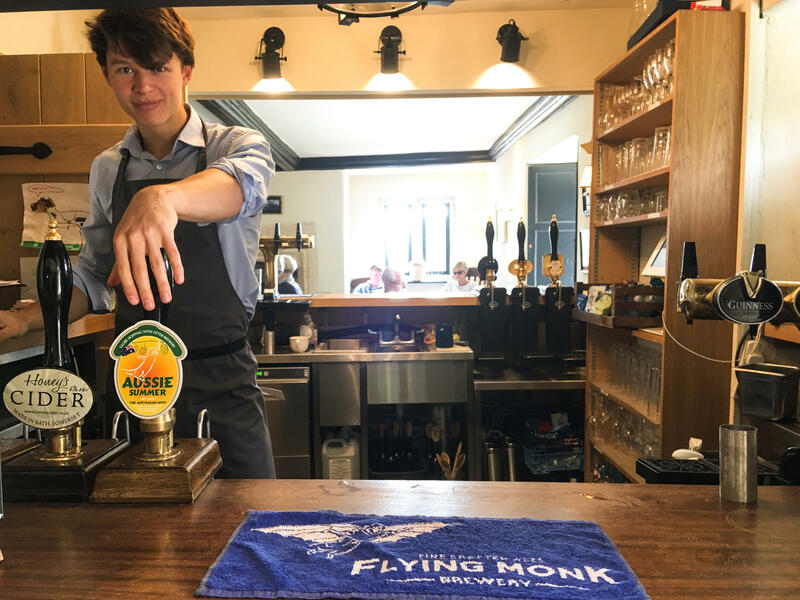 Since 2012, nearly 80 community groups across the U.K. have bought their local pubs, according to the Plunkett Foundation, a charity that, among other things, provides grants and advises communities on how to purchase and run pubs. "There is huge demand," said James Alcock, Plunkett's executive director. "We are currently working with just shy of 250 communities that are somewhere along the process of setting up a community-owned pub." Alcock said all the pubs community groups have purchased in the past seven years are still in operation. But as Save the Packhorse discovered, it takes a lot of planning, work and money. The Packhorse was neglected for decades and the back garden became a jungle. Village volunteers spent hundreds of hours clearing and regrading it in advance of the pub's reopening last year. 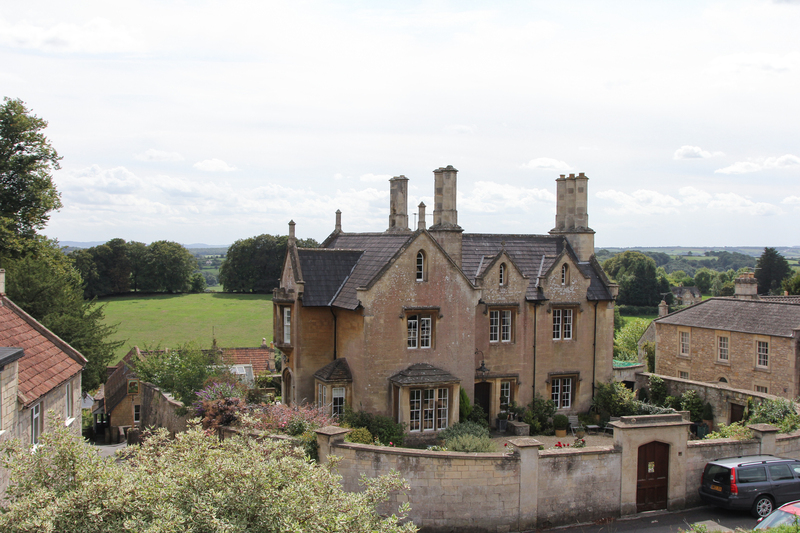 Volunteers spent the first several years fighting a planning application by the new owner to convert the building to residential and office use. They found a local policy that said the new owner could only convert the pub to other uses if he could prove the property was no longer financially viable as a pub. Next, the villagers had the Packhorse listed as a community asset, which forced the owner to give them six months to organize a competitive bid to buy the building after he decided to put it back on the market. Moorhouse said volunteers canvased South Stoke, which is just outside the city of Bath, and beyond, looking for investors, selling shares for $650 each. "Lots of banging on doors, lots of emails, lots of coffee meetings," Moorhouse recalled. "A couple of weeks before the deadline date, we had to raise 525,000 pounds [nearly $690,000]. We were, I think, circa 50,000 pounds short and sweating it, really, really sweating it." In the final 24 hours, Save the Packhorse surpassed its target. The group now had enough money to buy the pub, but needed even more to overhaul it. After decades of neglect, the Packhorse was a wreck. Inside the stone building, which dates to the 17thcentury, paint was peeling, there were holes in the walls and some windows were boarded up. "The property owners had stripped everything out," John recalled. "All the radiators were gone, the plumbing gone, the electrics gone and the floors were falling through." Volunteers spent hundreds of hours clearing the brush and moving 15 tons of soil to grade the back garden, which was so overgrown you could barely see the pub's ground floor. They then stripped the building's interior where they discovered a damaged, 17th-century fireplace, hidden behind plasterboard. A master stonemason restored it for free. One snowy day last year, scores of villagers and supporters turned out to the Packhorse. Brian Perkins, whose family had once run the pub and who had been born there in 1930, snipped a ribbon and reopened the Packhorse. If running an English pub sounds romantic, it's not. You're competing against everything from cheaper supermarket beer to Netflix. But Moorhouse says a key reason people here patronize the Packhorse is because the community owns it. "We now have got 430 people who want it to work," said Moorhouse, referring to the pub's many shareholders. "They are our marketers." South Stoke is a tiny village just outside the city of Bath in the west of England. About a year later, the Packhorse seems to be doing well. The pub features live music weekly, including folk musicians and pub choir singalongs. The business plan called for the Packhorse to turn a profit after two years and the organizers say performance is ahead of schedule. During a visit in warmer weather, the back garden was nearly full. Adge Secker, a retired cop, was having fish and chips at a picnic table with his wife. "We love it!" said Secker. "It's a great country pub. 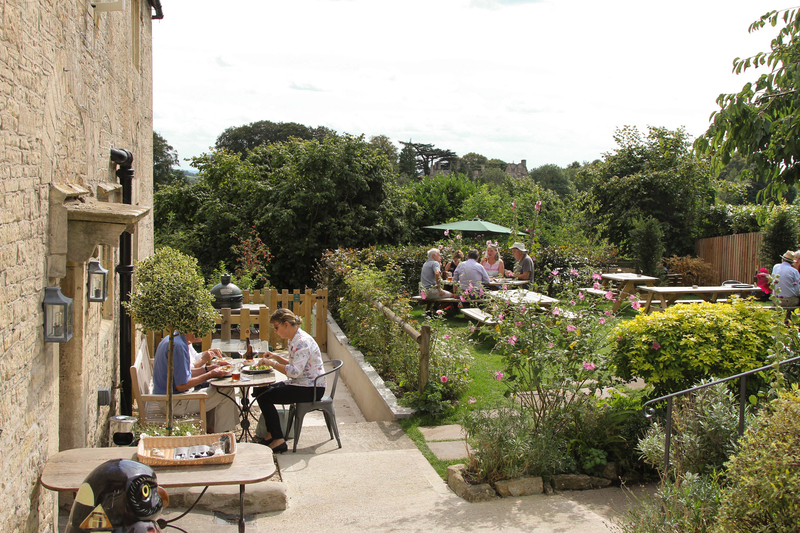 You can have ... lunch together and a pint of cider, a glass of wine in the glorious Somerset countryside. What's better than that!" NPR producer Samuel Alwyine-Mosely contributed to this story. OK. Maybe this isn't quite such a big deal as Brexit. But the United Kingdom is changing in a way that is symbolically important. Pubs are closing across the U.K. They are victims of changing lifestyles and also the rising price of real estate. Now some communities have banded together to buy and save their local pubs. NPR's Frank Langfitt visited one. FRANK LANGFITT, BYLINE: The Packhorse sits in the tiny village of South Stoke amid rolling hills dotted with sheep. For more than a century and a half, it played a crucial role in village life. Gerard Coles, who brews cider nearby, recalls coming here when he was just 15. GERARD COLES: And it was quite common to come here at lunchtime with the teacher. LANGFITT: Trevor John, a retired accountant, said the Packhorse marked milestones in many families. TREVOR JOHN: The chap who came to put in our new gas main said he was conceived in the back garden. LANGFITT: So it really is a community asset. UNIDENTIFIED PERSON #1: Yes, it really is - cradle to grave. LANGFITT: But in 2012, Punch Taverns, a corporation which owns over 1,300 pubs, sold the Packhorse so it could be converted into housing and office space. Villagers feared without the Packhorse, there'd be no place in town to get together. Dom Moorhouse, an entrepreneur, explains. DOM MOORHOUSE: For me, I think, you know, why most of us got involved in this project is you deplete a small community of a place like this, which is the only, you know, communal hub, and you just take its heart away. LANGFITT: It's a familiar story. JAMES ALCOCK: Communities across the U.K. have been seeing widespread closures of village and town and city pubs as well. LANGFITT: James Alcock is executive director of the Plunkett Foundation. It's a U.K. charity, which, among other things, advises communities on how to purchase and run pubs. ALCOCK: There is huge demand. So we are currently working with just shy of 250 communities that are somewhere along the process of setting up a community-owned pub. LANGFITT: Since 2012, nearly 80 groups have bought their local pub. But, as Save The Packhorse found, it's not easy. First, volunteers had to use local regulation to stop the new owner from turning the Packhorse into housing. Next, the villagers had the Packhorse listed as a community asset. That forced the new owner to give them six months to put together a competitive bid to buy the building after he put it back on the market. Dom Moorhouse says volunteers canvassed South Stoke and beyond looking for investors, selling shares for $650 each. MOORHOUSE: You know, lots of banging on doors, lots of emails, you know, lots of coffee meetings. And I think even a couple of weeks before the deadline dates, we had to raise 525,000 pounds, you know, which is a big chunk of money. We were, I think, circa 50k short and sweating it - really, really sweating it. LANGFITT: In the final 24 hours, they surpassed their target. The group now had enough money to buy the pub but needed even more to fix it up because, as Trevor John says, the Packhorse was a wreck. JOHN: The property owner had stripped everything out. All the radiators had gone, the plumbing gone. The electric's gone. The floors were falling through. UNIDENTIFIED GROUP: Three, two, one. LANGFITT: ...And reopened the pub with a big celebration. LANGFITT: If running an English pub sounds romantic, it's not. You're competing against everything from cheaper supermarket beer to Netflix. Dom Moorhouse and then Trevor John explain. MOORHOUSE: This is a tough, you know, business model. I mean, it's not for the faint-hearted. JOHN: Dom talked to loads of people in the industry. So the income, all the expenses, price of drinks - a lot of work went into it. It wasn't just this sort of back-of-the-envelope exercise. LANGFITT: Moorhouse says a key reason people now come to the Packhorse is because the community owns it. MOORHOUSE: You know, we've now got 430 people who, you know, want it to work, you know, want it to work for social reasons, you know, out there advocating it with their friends and family. You know, they're our marketeers. LANGFITT: A year on, the Packhorse is doing well. During a visit in warmer weather, the back garden was nearly full. Adge Secker, a retired cop, was having fish and chips at a picnic table with his wife. ADGE SECKER: We love it. It's a great country pub. You know, you can have a day off work and, you know, have lunch together and a pint of cider, a glass of wine in the glorious Somerset countryside. What's better than that? LANGFITT: And every couple of weeks or so, the Packhorse hosts a local pub choir. UNIDENTIFIED CHOIR: (Singing) Your faith was strong, but you needed proof. LANGFITT: Of the nearly 80 pubs communities have taken over in the past seven years, James Alcock says all are still operating. Frank Langfitt, NPR News, South Stoke, England. Transcript provided by NPR, Copyright NPR.